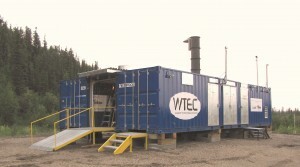 Designed for communities, industries, facilities and organizations that seek a clean and smart solution to landfilling or incineration, our sBOS is a proven gasification technology and management solution that provides a clean, smart and affordable method to deal with batches of +/- 1.5 tonnes of waste. Unlike other small-scale technologies our sBOS uses gasification/oxidation and have evolved via a long track record, require little input energy, are simple, efficient, effective, proven and self contained for rapid deployment. Our sBOS take any feedstock and cleanly convert it into inert bottom ash and enhance recycling where feasible. Leasing options can lower capital requirements. Our mobile (mBOS) systems mean reduced deployment bureaucracy for our clients. Provides the convenience of a complete facility in a sturdy, compact and highly reliable format. 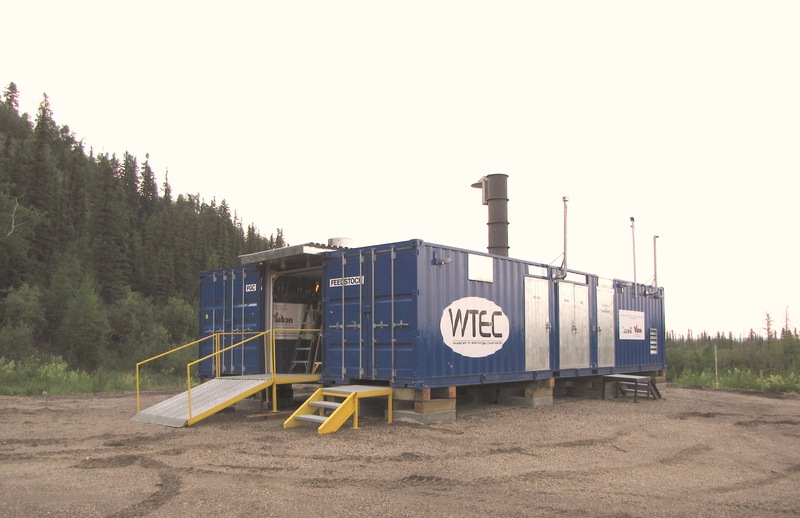 Robustly built for any environment and based within standard shipping containers the mBOS waste gasifier is air, truck, rail or sea transportable for rapid deployment worldwide. 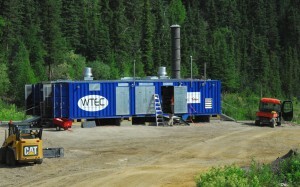 All modules are Canadian built to withstand the world’s harshest conditions. 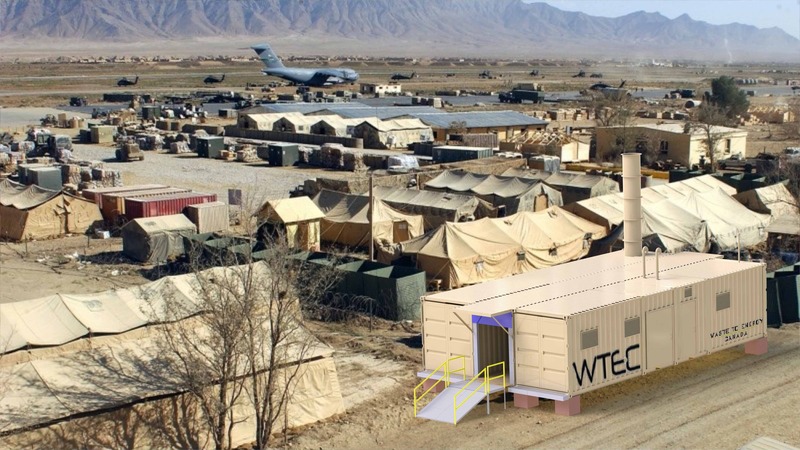 Each WTEC pre-configured and pre-tested sBOS can be permanently housed in 2-customized 40’ shipping containers, a Service Module and a Process Module. The “plug-and-play” design allows the system to be setup and operational with minimal assembly. Once the Process Module and Recycling units in the Service Module are married to the common access-way and the stack assembly are complete, the mBOS waste gasification system is ready for operation. 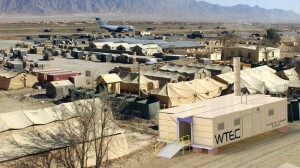 For ease of deployment the two modules are joined to a common enclosed walkway accessed from all sections. All components and materials for assembly are shipped in the Service Module. Being safe and easy to operate the sBOS can be monitored, controlled and serviced remotely. The system is raised to avoid any ground or wildlife interference and is completely secure and self-contained with its own generator. The sBOS can include a fully containerized Emissions Control Systems module to meet any global air emission standard. Features such as loading devices, Continuous Emission Monitoring Systems (CEMS) and Supervisory Control And Data Acquisition system (SCADA) are options. Each sBOS can be equipped with a wash-down system that incorporates a clean drain system to avoid ground pollution for complete clean waste gasification. The self-contained sBOS can be configured to be skid mounted for deployment within its own building. 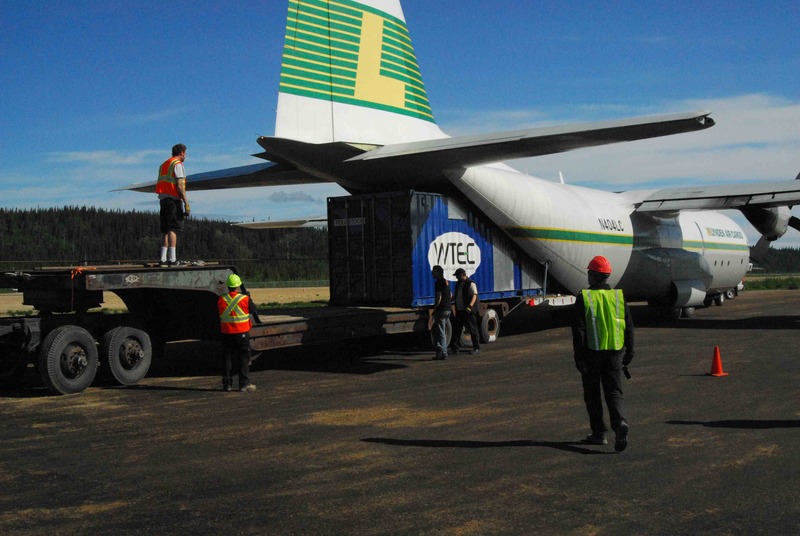 The images are from the mBOS operating in Old Crow, Yukon, Canada.